Dr. Sierra Carter is an Assistant Professor of Clinical and Community Psychology at Georgia State University. She also serves as a Visiting Faculty Fellow at the Center for Interdisciplinary Research on AIDS’ Research Education Institute for Diverse Scholars Program at Yale University. Her primary area of research focuses on racial health disparities and investigating how psychosocial and contextual stressors can affect both mental and physical health outcomes for underrepresented populations, with an emphasis on African American populations. She has a long-standing interest in the ways that health disparities in African American populations arise and are maintained by psychological, physiological, and contextual/social processes. A common theme throughout much of her work has been examining how racial discrimination, as an acute and chronic stressor, effects development and exacerbation of chronic illnesses and stress-related disorders across the life course. She integrates clinical, physiological, and biobehavioral measurement in her research to aid in improved identification of mechanisms that can be targeted in prevention and treatment efforts to reduce racial health disparities. Her research program also examines how racial and cultural characteristics (e.g., racial identity, Africentric worldview, racial composition of communities, and place-based factors) influences health. This work utilizes a risk and resilience framework to further illuminate what may buffer the psychological and physical health impacts of racial discrimination. Her research in the area of risk and resilience aims to enhance our ability to tackle troubling health disparities in underserved and underrepresented communities. Dr. Carter earned her B.S. degree in Psychology and minor in Social and Economic Justice from the University of North Carolina at Chapel Hill and her M.S. and Ph.D. in Clinical Psychology from the University of Georgia. 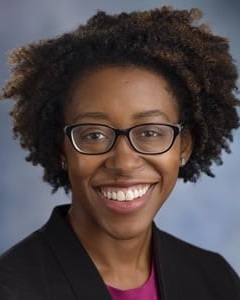 Dr. Carter completed her postdoctoral fellowship at Emory University School of Medicine with the Grady Trauma Project, a large scale study examining risk and resilience to psychopathology in a primarily African American sample of highly traumatized, low socioeconomic status individuals.